A replacement for Joanna Saltz has been found. 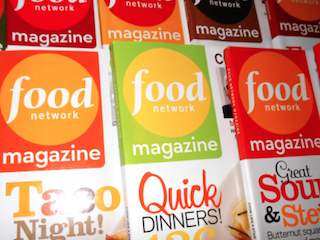 Rory Evans has been named Food Network Magazine’s executive editor. Evans has previously served as an editor for Martha Stewart Living, Real Simple and Glamour. Her work has appeared in publications such as Elle, GQ, New York and more. Evans — who starts April 13 — is succeeding Joanna Saltz, who was recently named site director of the new Delish.com.